As per American Heart Association, approximately 85 million people are suffering from High Blood Pressure that means on average of 1 per 3 adults over the age of 20 years. High Blood Pressure or Hypertension is often considered as “silent killer disease” because it often goes unnoticed as it has few or no symptoms. Often people suffer with it for years without knowing its presence. If hypertension is not treated or controlled on time then it can lead to many health problems like heart failure, vision loss, kidney disease and stroke. In this article let me explain what is high blood pressure, causes, natural remedies to keep it under control and other preventive tips in detail, Read on to know…. Heart is responsible for pumping blood into the arteries (blood vessels), which carry the blood throughout the body. Blood pressure is the force pushing against the arteries walls by the blood flow. When the arteries are healthy and elastic, they will expand when the blood flows. The elasticity maintains the pressure from getting too high. However, when the arteries become narrow, hard and less flexible, the blood inflow increases the pressure to flow through the arteries leading high blood pressure. The arteries can become narrow due to plaque buildup in the inner walls of the arteries. The plaque can be developed due to main substances like calcium, cellular waste, cholesterol, fat, fibrin or others that usually circulate in the blood. Any individual whose blood pressure is 140/90 mmHg or more for a constant period of time is considered suffering from high blood pressure or hypertension. Blood pressure is the amount of force your heart takes to pump (systolic) the blood outwards and then fill up while being at rest (diastolic). When we speak of high blood pressure causes, it is actually divided into two categories: Primary Blood Pressure and Secondary Blood Pressure. The cause of this category is still unidentified. However, there is a strong evidence linking to some risk factors of lifestyle. Substance abuse such as cocaine and heroin. Low intake of potassium-rich foods such as bananas. Being African-American also increases the risk of having high blood pressure compared to whites and Hispanics. Primary aldosteronism, a hormonal disorder altering the levels of key chemicals affecting the blood pressure. Cushing’s syndrome, a disorder where the body contains too much of a particular steroid which then tightens blood vessels. Hyperthyroidism and hypothyroidism, an excess and deficiency of thyroid hormones respectively. Drugs such as Non-steroidal anti-inflammatory drugs (NSAIDs) such as ibuprofen. Pheochromocytoma, a tumor of the adrenal gland causing excess release of a hormone which tightens the blood vessels and increases the heart rate. 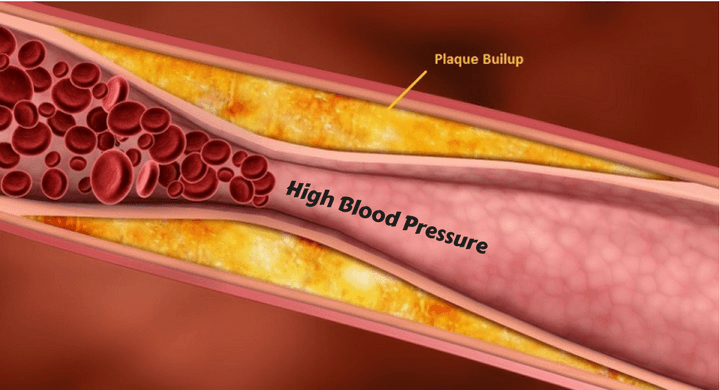 How to Cure High Blood Pressure? Using home remedies, high blood pressure can be resolved over a period of time. While, secondary hypertension needs medical attention to treat the root cause. There are many ingredients available in our kitchen which can be used to reduce and maintain blood pressure. We have mentioned them below for your convenience. The allicin present in garlic increases the availability and activities of nitric oxide which is responsible for regulating blood pressure by dilating arteries. Allicin also holds gumma-glutamylcysteine which is a natural ACE inhibitor. They are responsible for allowing your blood vessels to relax and widen, making it easier for the blood to flow. Mince 1 – 2 garlic cloves into a smooth paste. Add it to a cup of water or milk. Repeat the process 2 times daily for relief from high blood pressure. If you are not a fan of eating raw garlic then the second best way is to take them supplement form. You can find them in either garlic or allicin form. We recommend taking allicin supplement for effective results. Garlic supplements dosage: 600 to 1200mg divided into 3 doses per day. Pure allicin supplements: For this you have to follow manufacturer’s guidelines or consult a doctor for proper dosage. Garlic is possibly unsafe for pregnancy and breastfeeding moms if taken in medicinal amounts. People taking anti-coagulants (blood thinning medications) should avoid taking them. Celery and its seed extracts have shown excellent results in lowering high blood pressure without any side effects (2, 3). Celery contains phytochemicals known as phthalides which relaxes the tissues of artery walls. This increases blood flow and reduces the blood pressure. Celery contains a very crucial compound called 3-n-butylphthalide (3nB) which reduces blood pressure by relaxing tissues and walls of the arteries. Other essential compounds present in celery reduce the stress levels and provide relaxing effects. Into a blender, add 2 celery stalks, 1/2 beet, 2 carrots, 1/2 green apple and juice of 1 lemon. Blend the ingredients well for few minutes. Drink the blood pressure lowering juice. You can also take celery in the form of seed extract and oil if you don’t like to take it raw. Both celery seed extract and oil contain apegenin which helps to relax blood vessels and reduce the blood pressure. Pregnancy and breastfeeding women should avoid celery consumption in any form. Large amounts of celery consumption may induce uterus contraction and lead to miscarriage. People who are allergic to carrot, mugwort, birch, and dandelion are also allergic to celery. People with bleeding disorder should avoid its consumption as it can worsen the problem. Celery might cause inflammation and other difficulties for people having kidney problems. People undergoing surgery should stop taking celery at least 2 weeks before a scheduled surgery. Its diuretic properties help to open up the arteries for a proper blood flow and reduce pressure. It acts as a natural ACE inhibitor which states that it restricts the release of hormones that constrict blood vessels. Hibiscus helps to drive out sodium and excess fluid from blood, therefore reduces the pressure required by the heart to the pump the blood. Remove the water from heat and add 1 to 2 teaspoon of dried hibiscus. You can add cinnamon sticks to the mixture as well. Allow the preparation to simmer for about 5 minutes. Add lemon or honey to taste and consume it. Health professionals of Michigan Healthy System recommended 3 cups of hibiscus tea daily. However, the amount of hibiscus you take depends on the weight, age, and health condition. So, your health coach will be the perfect person to let you know the right dosage for you. Children and pregnant or breastfeeding women should avoid taking hibiscus without consulting a doctor. Hibiscus can interact with some medications like pain relievers and others. So, first know about its interactions with your medicines before taking them. Coconut water is rich in potassium which plays a major role in lowering blood pressure. Both potassium and magnesium present in coconut water improve the functioning of the heart muscles. Drink 8 ounces of coconut water. Repeat the consumption 2 times in a day. If you are overweight, then consume 3 times in a day. Though coconut water seems completely harmless, it can be harmful to the people whose kidney is not in proper shape. Too much potassium consumption can affect the kidneys which can further affect the fluid and electrolyte levels in the body. Make sure to inform your doctor before trying out anything new for lowering blood pressure levels. Blueberries consumptions increases nitric oxide production in the body. It helps your blood vessels maintain the elasticity. It also helps to dilate your blood vessels which further helps to lower blood pressure levels. The flavonoids present in blueberries known as anthocyanins act as antioxidants. They are known to beneficial for endothelial lining of the circulatory system. It also helps to prevent plaque buildup in the arteries promoting healthy blood pressure. Into a blender, add 1.5 tablespoon of freeze dried blueberry powder, 1/2 cup milk, 1/2 cup plain yogurt, and 1.5 teaspoon ground flaxseeds. Blend the ingredients for a minute or until smooth. Add honey for taste and consume it. Add dried berries to a glass of water. Put the mixture in low heat. Let the mixture simmer until half of the water has evaporated. Squeeze the berries to extract the juice. Pour the extracted juice back into the warm water, stir in honey, then reheat. You can re-heat the honey and berry juice at medium heat if you would like thick syrup. Take 1 teaspoon of blueberry syrup 2 times in a day. Blueberries contain a high amount of salicylates. So, people allergic to salicylates should avoid eating it in large amounts. Blueberries are rich in vitamin K. Excess consumption of them can lead to vitamin K overdose. Eating too many than recommended can increase blood sugar levels. Too much consumption of blueberries is unsafe for pregnant and nursing women. If you have ever needed a magic potion to reduce high blood pressure than it is none other than carrot. As per International Journal of Angiology, carrots have helped in lowering hypertension. Pectin or calcium pectate keeps your digestion regulated which results in low cholesterol and less plaque buildup. It keeps the arteries healthy and prevents the walls from hardening. This helps in keeping the blood vessels supple lowering the blood pressure. Carrots contain beta-carotene which is an antioxidant. Our blood carries a lot of free radicals which actually damage the cells in the body and often lineup the blood vessel walls. Antioxidants fight the free radical damage which leads to better arterial health. Carrots are rich in potassium which balances out the sodium levels and healthy fluid balances in the body. Imbalance in sodium levels often lead to high blood pressure. Into a blender, add 3 carrots (chopped), 1 beetroot (chopped), 1 inch ginger piece, 4 celery stalks, 1/2 cucumber and 1 medium pear. Carrots are high in sugar content. So, people with diabetes should avoid it. They have a mild laxative effect so people suffering from diarrhea should avoid it. Avoid drinking carrot juice during exacerbations of pancreas and intestines. It usually creates heavy load on the pancreas. Some people can be allergic to carrots. In an Australian study, people who have received lycopene in their diet have shown decrease in LDL by 10 percent (8). Tomatoes are rich in lycopene and other beneficial elements which reduce the blood pressure. Tomatoes contain potassium, a lot of antioxidants such as vitamin E, and beta-carotene. Potassium eases the tension in the blood vessel walls and lowers the pressure required by the heart to pump the blood. Lycopene present in tomatoes help to lower blood cholesterol and in turn, prevents fat deposits on the artery walls which may lead to heart disease. You can consume 1 cup of tomato chunks, juice or sauce once in a day. 20mg of lycopene (available in a cup of tomato juice or sauce) is more than enough for a safe consumption. Note: Avoid consuming tomato sauce as they contain high levels of sodium. If you cannot or dislike the taste of tomatoes then you can happily take them in the form of supplements. Dosage: 200mg supplement per day. Too much tomato consumption can lead to buildup of potassium in the body. High amounts of potassium content in the body can be harmful for people with kidney disorders. Avoid excess amount of tomato consumption as it can lead to vomiting, diarrhea, dizziness, headache, mild spams, throat irritation and others. Tomatoes are safe to consume for pregnant and nursing women. However, it is better to avoid excess consumption. As per a study conducted on newly diagnosed 10 individuals were given 3 grams of cardamom powder for 12 weeks. The results have stated that cardamom decreases systolic, diastolic pressure and increased fibrinolytic (blood clot-inhibiting) activity (10). Cardamom is an excellent source of potassium which helps to flush out the excess sodium from the body which is one of the reasons for high blood pressure. Magnesium present in cardamom prevents plaque buildup in the artery walls. This reduces the pressure required by the heart to pump the blood. It contains anti-oxidants which reduce the oxidative-stress which also helps proper blood flow. Add 1 teaspoon of cardamom powder into a cup of warm water. Add raw organic honey and mix. Drink the preparation twice daily. For more effectiveness, you can also try this combination – 4 cardamoms, 4 black peppercorns, 1 cinnamon stick, and 4 thin ginger slices instead of just cardamom powder. People who are suffering from kidney stones should avoid taking cardamom. The University of Ilorin, Nigeria, conducted a study on 60 subjects and concluded that it has shown a significant improvement in lowering the blood pressure (11). Ginger contains two important compounds like gingerol and shogaol which has the ability to reduce the high blood pressure. The chemical compounds of ginger reduce the density lipoproteins and plaque buildup in the artery walls. This helps the blood to flow freely. It also prevents the blood clots from forming in your arteries and blood vessels. Blood clots can restrict the blood from flowing freely through circulatory system. Crush the cardamom pods until the oil is released. Add the crushed pod into ½ cup of water. Add 1 teaspoon of cinnamon powder into the mix. Then add ½ cup of milk and 1 ½ teaspoons black tea. Boil the mixture, then allow to simmer for 10 minutes till you see the caramel brown color. Add honey into the preparation and stir well. Strain into a teacup and drink. Drink the solution 3 times in a day. Note: Make sure to avoid more than 4grams of ginger consumption. If you don’t want to take ginger in raw form, then you can take them in the form of supplements. While purchasing ginger supplements, make sure it contains 5% total pungent compounds which also include gingerol and shaogal. Pregnant and nursing women should not consume more than 1 gram of ginger per day. People, who are taking high blood pressure medications, should consult doctor before taking ginger supplements. As per a research, hawthorn has shown a significant improvement in lowering blood pressure and heart rate (12). Hawthorn improves the amount of blood pressure pumped out of the heart during contractions. The flavonoids, oligomeric procyaninds and nutrients present in hawthorn dilate the arteries. This decreases the amount of resistance the blood required while flowing through these vessels. It also acts as an ACE inhibitor which effectively lowers high blood pressure levels. Its extracts inhibit thromboxane production which reduces the risk of blood clots. It also possesses antioxidant properties. Add 1 teaspoon lightly crushed hawthorn berries into it. Let it simmer for 4 – 5 minutes and remove from the flame. Strain into a cup, add honey as per taste and consume it. Repeat once or twice in a day. If you are thinking to take hawthorn in extract form then here is proper dosage you have to consider. Dosage: 160mg to 900mg of hawthorn extract. Overdose of hawthorn can experience low blood pressure and dizziness. Don’t take hawthorn in combination with anticoagulants. Cat’s claw is an herbal medicine widely used in Chinese medicine for treating hypertension and other neurological problems (13). Cat’s claw lowers blood pressure by dilating the blood vessels and making them less resistant to the force with which the heart pumps out blood. Cat’s claw also lowers blood pressure by forcing out extra sodium and water from blood. Cat’s Claw contains tannins and flavonoids which are responsible for its health benefits. Add 1 to 2 teaspoons of dried cat’s claw into a 1 to 1½ liter of water. You can add more water if required. Pour the mixture into a small saucepan. Cover and allow it to simmer for 40 to 45 minutes. Taking cat’s claw in combination with high blood pressure medications might cause your blood pressure to go too low. Don’t use cat’s claw if you are already taking high blood pressure medications. Pregnant and nursing women should avoid taking cat’s claw. As per Journal of Ethnopharmacology, the curcumin present in turmeric has the ability to lower the blood pressure due to antioxidant properties (14). Curcumin has the ability to dilate the arteries. This reduces the pressure required by the heart to pump the blood. Turmeric contains anti-inflammatory and anti-clotting properties. It helps to maintain the blood vessels healthy by protecting them from damage. Add turmeric into your daily cooking, juices and salads. Despite of that you can also try the process mentioned below. Add 1/2 teaspoon of turmeric powder into a cup of boiling water. Drink while it is lukewarm. For more effectiveness, you can add ginger and lemon juice. Many people don’t like the taste of the turmeric. If you are one of them, then turmeric supplements are the best option. Dried root or powder: 1.5 to 3 grams per day. High doses of turmeric can lead to upset stomach and ulcers. If curcumin is taken in combination with diabetes medications then it can lower blood sugar levels. It can also interfere with antacid and anti-coagulant medications. Intake of omega fatty acids reduces inflammation and enhances cardiovascular health which helps to lower the blood pressure. It helps to reduce bad cholesterol levels and triglycerides (fats in the blood). Omega fatty acids are rich in foods like salmon, sardines, herring, fatty fish, flaxseeds, oysters, anchovies, caviar, chia seeds, walnuts, soybeans, and others. However, you can also take supplements or fish oil capsules for acquiring the same. Though fish oil or omega fatty acid supplements are completely safe to use, they can cause loose stools, nausea, and fishy breath in few people. Vitamin D suppresses a hormone in the body called renin which serves to absorb more sodium and water from the kidneys into the blood. Suppressing renin lowers the re-absorption of sodium and water, therefore, lowering blood pressure. It improves cardiovascular health like cholesterol levels and other which helps to reduce the blood pressure levels. Spend a minimum of 30 minutes under direct sunlight daily such that your face, neck, back, arms and legs are exposed. Include foods rich in vitamin D like eggs, fatty fish, meats, and fortified dairy products. If you intend to take vitamin D supplements, get the D3 and not D2 supplements as D3 is the active form of vitamin D in the blood. Recommended Dosage: You should ensure you take an average of 2,000 IU of vitamin D daily. If vitamin D supplements are taken more than recommended amounts, then it may cause weakness, fatigue, vomiting, weakness, nausea and other discomforts. Avoid taking vitamin D supplements in combination with blood pressure medications. Hypertension is a worldwide epidemic with approximately 972 million people (26 per cent of the world’s population) having it. You might ask: Who gets high blood pressure more, Men or Women?, well at adulthood and below the age of 45 years, high blood pressure usually affects men more than women, but for after the age of 64 years, women tend to have it more. The feared complications of high blood pressure include heart attack, blindness, heart failure, and kidney damage which are pretty fatal. Hypertension also occurs in children, but in most of these cases, it occurs from secondary causes. 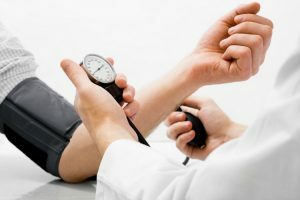 How Do Doctors Cure High Blood Pressure? When your doctor checks your blood pressure and finds out that it is high consistently on three different occasions, your doctor diagnoses you of hypertension and would perform certain examinations and laboratory investigations to determine the cause and your risk of complications. Your doctor would check your pulse, heart beats, and heart rates to detect if these are abnormal as some heart diseases can cause high blood pressure and can be picked via such basic physical examinations. Your doctor would also recommend laboratory investigations including blood glucose, complete blood count, blood electrolytes, blood fats, and urine for analysis of its chemicals. These investigations help to determine if there are other diseases causing the high blood pressure or which would put you at a greater risk of having the complications of high blood pressure. Imaging investigations such as an echocardiography, a special form of ultrasound where the structure of the heart is visualized. This test shows if the heart is already damaged from the high blood pressure. You might also require an electrocardiography (ECG) which checks the electrical activity and quality of your heart beats. This also shows any predisposing factors or complications of high blood pressure and concomitant heart disease you might be having. If home remedies do not sufficiently lower your blood pressure after employing them for about 3 months, then it is time to see your doctors. These are drugs which lower blood pressure by flushing out excess water and sodium from the blood. Examples of these include furosemide, hydrochlorothiazide, and amiloride. ACE means Angiotensin-converting Enzyme, this enzyme converts angiotensin into an active chemical which tenses and tightens the blood vessels. ACE inhibitors prevent this conversion leaving the blood vessels relaxed and lowering the pressure with which the heart pumps into them. Examples of this class of drugs include lisinopril and captopril. These drugs block a special kind of receptors called beta receptors which are present in the blood vessels and heart. Adrenaline, the hormone which is released when we are excited or frightened will bind to this receptor to tense the blood vessels and increase the pumping action of the heart. Calcium is the major chemical which makes muscles contract in the body, when blood vessels get tensed, their muscles contract. Therefore if calcium is blocked from entering the cells and muscles of the blood vessels, they would not get tense and would stay relaxed, causing a reduction in blood pressure. Examples of these drugs are Nifedipine and amlodipine. This group of drugs block the flow of nerve impulses which trigger adrenaline release. Therefore, if adrenaline is not released, the blood vessels remain relaxed and the heart beats calmly, lowering your blood pressure. Example of these drugs include methyldopa and clonidine. This comprises of drugs which antagonize the action of a chemical called aldosterone in the kidneys. This chemical causes the re-absorption of sodium and water from the kidneys, which increase the blood volume and the heart requires more pressure to pump. By preventing this situation, this drug helps to lower blood pressure. An example of drugs in this group is spironolactone. These drugs relaxes the blood pressure, this lowers your blood pressure. Examples of this are hydralazine and minoxidil. Your doctor would prescribe these drugs alone or in combination depending on how well your blood pressure improves with time and also on how high it is when you are diagnosed with hypertension. For secondary cases of high blood pressure where a diseased organ is responsible, your doctor would treat the disease as well. It may require surgery, for example pheochromocytoma, which is a tumor of the adrenal glands, tumors of the adrenal glands producing the chemical, aldosterone in a disease called hyperaldosteronism in which the tumor produces excess aldosterone. Limit salt and alcohol intake. Avoid processed and salted foods. Excess alcohol and salt in your body would gradually make you hypertensive. Increase your intake of potassium rich foods such as bananas, potassium helps to lower blood pressure. Consume low-fat meat and dairy products. High blood pressure is a global epidemic and is said to occur when your blood pressure is equal or greater than 140/90 millimetres of mercury (mmHg). Your blood pressure indicates the force with which the heart pumps blood and the pressure within it when it receives blood. High blood pressure usually presents with no symptoms, therefore you might not know unless you have it checked by a healthcare professional. Most of the times, high blood pressure has no known cause, while in a few cases, it results from problems such as kidney disease, hormone problems, and problems with the heart structure. Risk factors of high blood pressure include advanced age, obesity, physical inactivity, alcohol abuse, and tobacco use. A lot of times, home remedies are all you would ever need to lower your blood pressure. These home remedies are even recommended by your doctor for a few months. If you go back to your doctor after this period and your blood pressure is still high, your doctor would prescribe medications which help to lower blood pressure. In cases where a disease such as a tumour is responsible for the elevated blood pressure, you doctor would treat this disease, sometimes with surgery before placing you on blood-pressure lowering drugs if necessary. Did you find this article helpful? Share which methods worked for you. If you have any other queries or suggestions, write to us in the comments section. I am 39 years old. I am keeping blood pressure in the range of 120-140/81-90. I am not taking any medicines. 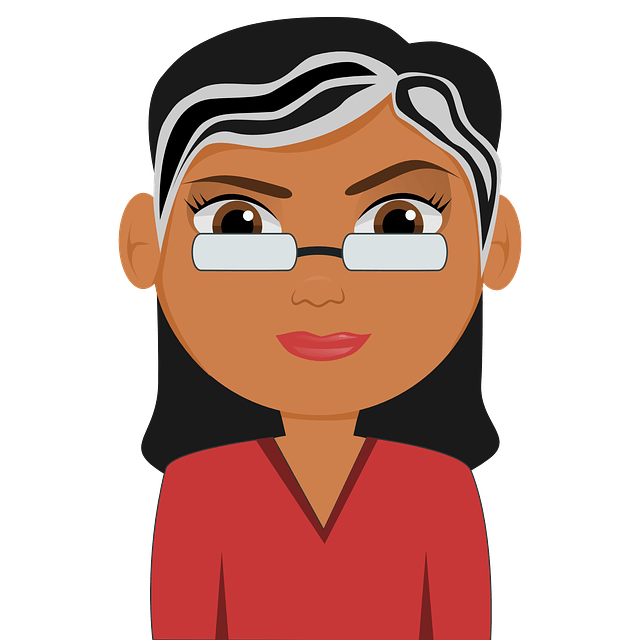 My hBA1C sugar level is 5.8-6.0. I want to naturally reduce by BP levels. My LDL level is around 140 about 40 points higher than normal range. What should i do? Plz suggest as i dont want to take medicines. Try any method mentioned above. Apart from that drink plenty of water, avoid sugary items, fatty foods and dairy products. Avoid smoking and alcohol. Exercise or meditate to reduce the stress levels. To increase lycopene content in tomatoes, cook them.